Artistic Masons offers turnkey restoration solutions for realtors, multi-family property investors, home inspectors, remodelers, architects, interior designers, foundation repair companies and homeowners. With the flexibility of custom color offerings, speed of implementation, and artistic creativity, Artistic Masons can meet the needs of renovation experts to solve many problems quickly and efficiently. Artistic Masons exists to provide innovative products and unique applications to enhance the beauty and value of our client's property. Our repairs should be undetectable when a job is complete. We believe that the great products we sell are only as good as the character of the people behind the products. Our company works hard to lead with integrity and hire the same. We value our workers and spend time and resources carefully training and certifying them to perform the best job in a time respective manner for each client. We have worked for over two decades to create unmatched compounds and colors that provide seamless restorative results on brick, mortar, and cast stone. Our products are exponentially stronger than traditional mortar stain products and far outlive tradition brick and mortar repairs as well as cast stone staining and white washed bricks. We cherish our customers. Since our inception, we have believed and trained every employee with the formula: great people, providing great products, will yield great results. We understand that no job is complete until the client is completely satisfied, and since 1994 we have thousands of satisfied customers and positive referrals demonstrating this commitment to quality and value. We use an industry-surpassing compound that provides seamless repair work to cracked, stained or damaged brick, mortar or cast stone. Traditional mortar is rated at 750 psi; our product is rated at 4200 psi. Our masonry products have a bonding agent that allows us to create a solid bond to the existing brick and mortar without tear out. Our process is to remove any loose or damaged mortar, apply a bonding product that soaks in and adheres to the surface, then repoint with our proprietary masonry mortar, which also has a bonding agent. This create an amazing repair that when we finish we then go about creating exact color matches to the mortar and brick. Artistic Masons does not provide a warranty on brick and mortar repair or cast stone because of our clay soil in the North Texas area. The soil will shrink with drought and swell with the rain which in turn creates ground shifting. This very often causes cracks in brick, mortar and foundations. However, we can return for a Trip Charge if the cracks reappear where we did repairs. We do provide a 20 year warranty on White Washed bricks. Paulette has over twenty years of experience in management and business ownership, prior to founding Artistic Masons in her garage in 1994. Paulette owned one of the largest Coca-Cola Memorabilia retail stores in Texas. 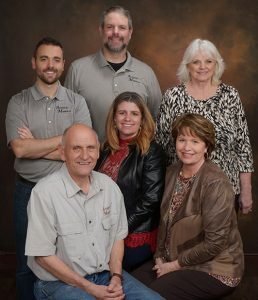 She and her husband, Randy Mason, owned and operated Mason Roofing & Construction for over eighteen years. Paulette has a unique ability to solve problems with an “out of the box” approach, which has inspired her to create innovative solutions for residential, commercial and industrial venues. Paulette is the creator of the proprietary Artistic Masons methodology and applications that solve the problems of what to do with damaged brick, mortar, cast stone and outdated or historical brick. Paulette’s creative ability as a professional mural artist has allowed her to become an important visionary relating to painting techniques, artistic techniques, problem solving solutions and new innovative designs. “Attention to detail is always foremost in my approach to solving a problem” Paulette loves helping others through organizations such as Grace Bridge Food Bank, Samaritan Inn, Wounded Warrior and her church. 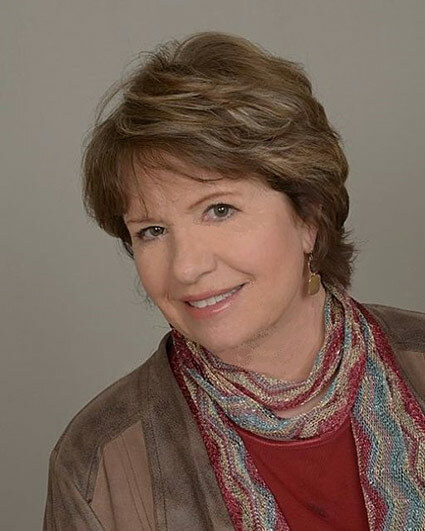 Paulette enjoys art, cooking, travel and most of all her family. 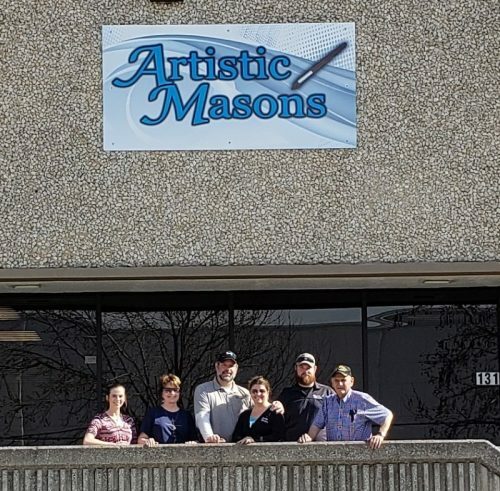 Randy D. Mason is the Chief Operating Officer of Artistic Masons. Randy has thirty years of leadership experience in industrial, commercial and residential construction, including twenty-one years in retail sales management. His understanding of financial operations has lead him to a position with Artistic Masons as CFO. Randy’s background includes exceptional management of employees and subcontractors ensures that quality workmanship and customer service is always a top priority. Randy’s experience is rounded out with metal building and roofing construction management, retail and wholesale sales management and inventory and shrinkage control management. His entrepreneurial expertise in business as allowed him to start 5 companies from the ground up. 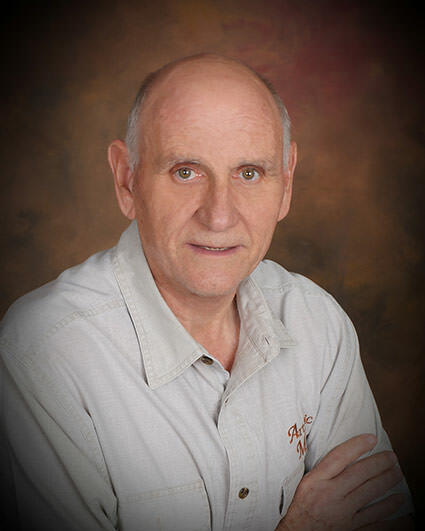 Randy’s family is a joy to him and he also likes residential and commercial development, RVing, fishing and travel. Prior to coming to Artistic Masons, Sal was a Math and PE teacher serving in DISD with a focus on positively impacting the older, at risk student population. Sal is a great father to his family of 2 girls and 3 boys and his involved in supporting them in baseball, basketball, football, and choir endeavors. Sal grew up in New York in an Italian family, where construction was a way of life and in his blood from an early age. He is a huge Yankees fan and enjoys spending time with his wife and 5 children. Sal has served as a volunteer teaching Sunday School and mentoring young married couples. Sal has worked for Artistic Masons since 2012 and is passionate about the services provided by Artistic Masons. He absolutely loves working with our customers to accomplish their restoration needs and providing great customer service. Sal enjoys sports and plays basketball several times a week. He is an amazing coach and loves to encourage children to be the best they can be. Tammi was an exceptional student in school and was involved with National Honor Society, Student Counsel as well as going to state in Tennis. After graduation from Angelo State, she has taught children in both public and private elementary school systems. She has worked for Artistic Masons since 2003 and currently serves as Executive Office Manager as well as heading up the training program teaching the Artistic Masons methods and techniques to new team members. 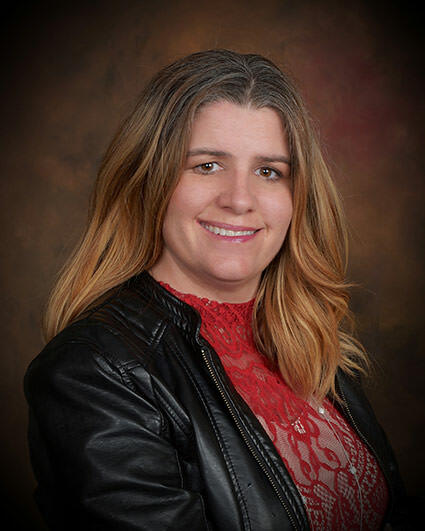 Tammi is an experienced Certified Restoration Specialists with a unique talent for matching color and masterfully restoring brick and mortar as well as textured overlays on concrete surfaces. Her keen eye, creativity, and attention to detail will ensure that all the work our CRS’s do looks amazing and that our company provides a pleasant customer experience. Tammi can multi-task at lightning speed with a smile on her face. Tammi has passionately supported her three sons and two daughters in baseball, basketball, football and choir endeavors. She is very involved in church and her hobbies are interior decorating, entertaining, travel and shopping. Adam is a born and raised Texan. He was born in Houston and grew up in nearby Plano, before attending Louisiana Tech University. Enjoying the great outdoors has been a life-long favorite for Adam. Some of his most cherished memories are made while playing with his growing family and spending time with his beautiful wife. He joined Artistic Masons in August of 2018 and he has used his past experiences to design aesthetically stunning completed projects. He has always enjoyed the majesty of the outdoors and creating with his hands. Adam spent time building playgrounds and worked as a certifiable arborist for over a year. Using his innovative designing techniques, Adam has helped to create astounding projects for Artistic Masons. Our newest member, Shelby, comes to us from East Texas, by way of Tyler. After graduating high school, Shelby attended Tyler Junior College before getting married and having 1 son, who is the light of her life. She enjoys spending her time with her son and family, mostly while binge-watching television. Shelby treats each and every customer as if they were her only priority and we appreciate her Office Management experiences which has provided us with many streamlined procedures to increase work product. Her positive, can-do attitude has made Shelby an important part of the Artistic Masons family.